Saturday shopping in Venice! 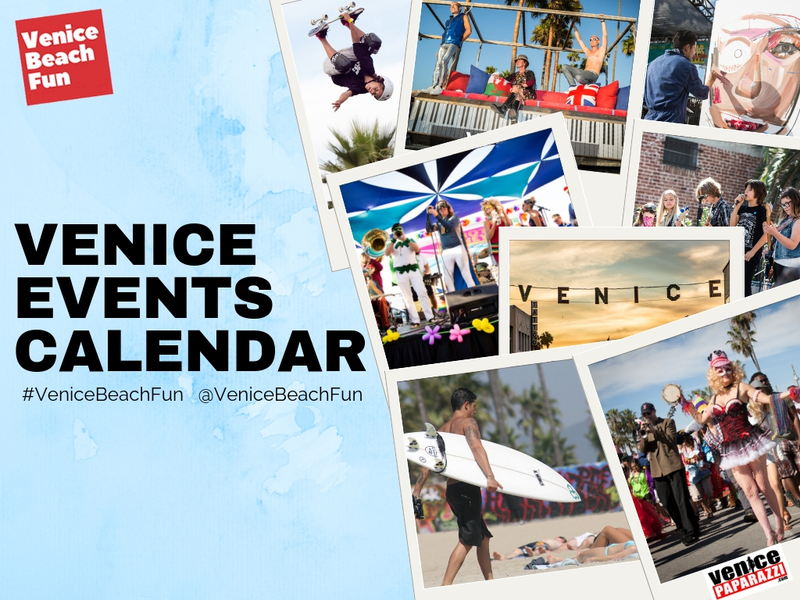 Artists & Fleas, and the Venice Art and Collectables Market! Go where the locals go! James’ Beach, a 21 year Venice landmark! That welcoming vibe, value and quality has made James’ Beach a favorite Venice neighborhood restaurant. 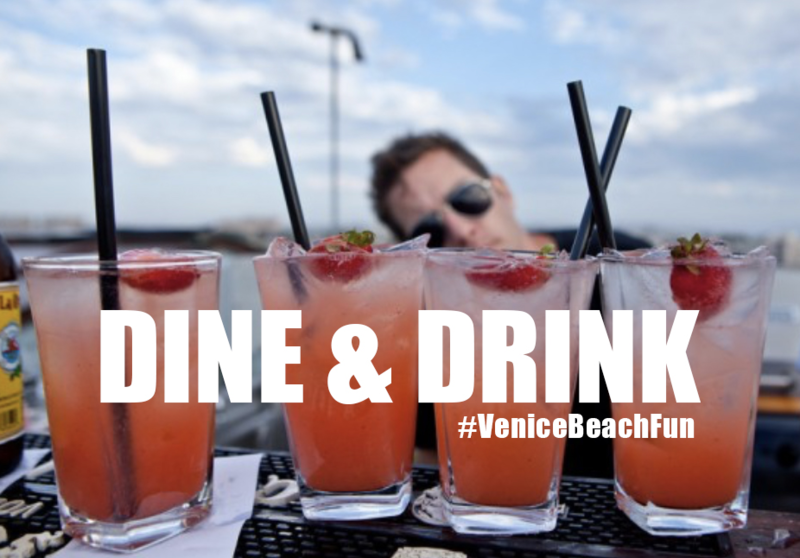 Visitors come to Venice to be part of the artistic, eclectic scene and there is no better place to have a drink and people watch than at James’ Beach. This may be one of the reasons that James’ Beach recently was awarded Open Table’s award for Most Vibrant Bar Scene. 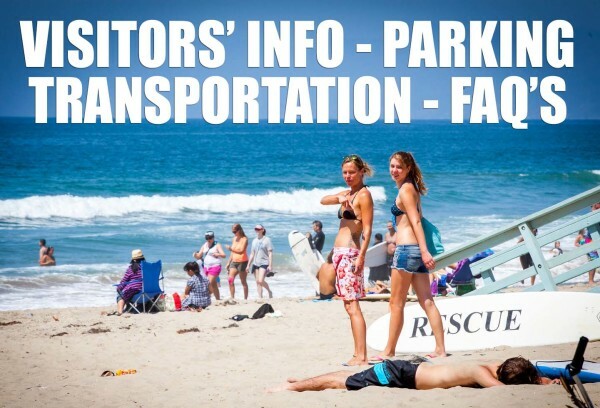 James’ Beach has been featured in feature films, television shows, and viral online videos like I Love You, Man, Californication, Curb Your Enthusiasm and The Women of L.A. as a Venice institution. James Evans is the namesake and one of the two co-owners of this beach side hangout. He moved from San Francisco to Venice in 1975. James worked at some of the iconic early Venice eateries, starting at the famous Robert’s restaurant and later becoming the General Manager of Tony Bill, Dudley Moore and Liza Minnelli’s famous 72 Market Street. In 1982 James met artist and business person, Daniel Samakow. The pair hit it off and together, 14 years later, opened the big brass gates of James’ Beach for the first time. James and Daniel later opened two other popular Venice eateries, Canal Club, a sushi bar and wood grill that celebrates the Venice artistic spirit and Danny’s Venice, a bistro with live music and de facto Venice museum that celebrates the areas amazing past. WHY IS IT CALLED JAMES’ BEACH? Everyone asks us how we came up with the name? The name James’ Beach was meant to sound like an actual beach. We always say, “Going out should feel like you’re going on vacation,” where you can be happy and relax. We cook things that make all of us happy, like Certified Angus Beef New York Steak; tasty sandwiches; just caught mahi mahi fish tacos; divine mac ‘n’ cheese; rotisserie chicken and warm chocolate chip cookies or something altogether surprising and new. Check out the menus. The inspiration for the food at James’ Beach began with our own family’s home cooked meals and the neighborhood restaurants and bars we grew up with. Our executive chef worked in Pittsburgh and New York, and understood the idea that neighborhood restaurants and comfort food binds a community together. We took these traditional comfort food items and re-made them the best and healthiest they could be. We called it Modern American Comfort Food. Shari Lynne Robins. She’s been working with us since we opened back in ’96. Her menu of California Beach Cuisine and Modern American Comfort Food has won critical acclaim from the Los Angeles Times Magazine, Gourmet Magazine and Bon Appétite. Before arriving at the Beach, she worked as Chef de Parti Garde Manger at Petrossian and Chef de Cuisine at Coffee Shop in New York. In Los Angeles she was the opening Chef de Cuisine for Barney Greengrass at Barney’s New York and Chef de Cuisine for Fusion at the Pacific Design Center. Shari is a graduate of the Culinary Institute of America. Quality is number one for us. We source many items locally, when possible we like certified organic. We make many things from scratch, from our scones and breads to our salsas and beans for our famous fish tacos. We use Shelton’s poultry and Certified Angus Beef®. Meats and dairy are BHT and hormone free. The restaurant benefits from being in Venice and a variety of artists and designers have added their touch to the design. Venice artist Billy Al Bengston created many of the iconic parts of James’ Beach including the gates and the huge window with Golds Gym counter-weights. The chairs are mid century classics designed by Charles and Rae Eames who had their original factory on what is now called Abbot Kinney Blvd. in Venice. Daniel and James designed other parts of the restaurant and Daniel’s artwork is on the covers of the menus and throughout the restaurant along with a changing show of other local artists. HOW DO I RESERVE A TABLE HERE? 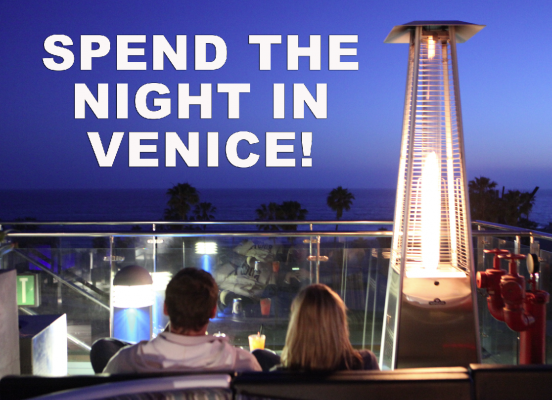 Just call (310) 823-5396 or book online up to 30 days in advance. We also hold tables for walk-in guests. If you’re not walking, we have valet parking at night and validated parking for lunch and brunch Wednesdays thru Sundays. Come on by. DOES JAMES’ BEACH HAVE A DRESS CODE? 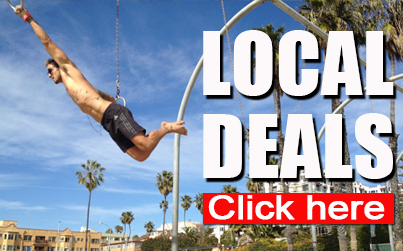 This is Venice Beach so it is always comfortable and casual, we ask that attire be respectful of others. We personally like fun, casual elegance. WHEN CAN I COME BY? Lunch is served Wednesday thru Friday 11 a.m. to 3 p.m.
Our In Between menu is offered 3 to 6 p.m. Wednesday thru Sunday. A Late Night menu is offered Thursday to Saturday from 10:30 p.m. til 1 a.m.
Last Call at our bar is 1:30 a.m. nightly. Glad you asked. The list is long and the night is young. James’ Beach is a bar with a classic slant. Martinis come with sidecars to hold the extra and keep it cold. Our bartenders know their stuff! Specialties of the bar include cocktails like Mojitos (LA.com says we probably introduced them to L.A.), Margaritas and you name it, made with great mixers, only fresh juices (no soda guns!) and premium spirits. We feature a Wine Spectator Award Winning wine list covering all territories and price ranges including a reserve list, and a nice stock of craft and draft beers too. If you’re bringing your own, corkage is $15, please. Check out the drinks menu. $5 mimosas/$5 Bloody Mary’s on Saturdays and Sundays. Every Wednesday night is 1991 Steakhouse night and Martini’s. Enjoy both at their 1996 prices. Get your sashimi fix on at Poke-Poke! 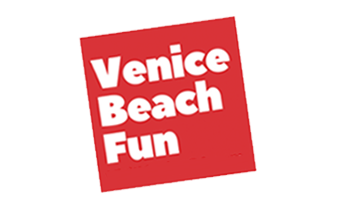 Venice Beach Fun for the family!